Is the Practice of Floating Staff to Unfamiliar Departments Safe? This case study was derived from patient safety events reported to CHPSO. The Board of Registered Nursing (BRN) for California receives many inquiries from RNs who are being asked to float to a new patient care unit. The RNs often ask the BRN what their responsibilities are when being floated to a new unit and whether the RN can refuse the assignment if the RN determines she/he is not competent to provide safe nursing care. A 2012 whitepaper by iVantage Health Analytics, Inc. identified five key issues that make a nurse want to leave their employer. Floating to other units was one of these issues, along with mandatory overtime, non-nursing tasks and interruptions, bullying and toxic behavior, and poor leadership. The whitepaper revealed that “floating can cause anxiety among nurses who float to areas where they don’t feel they have expertise.” This is largely in part because they are concerned that they may make an error that may cause harm to a patient. Many organizations have developed a dedicated group or “pool” of registered nurses that have been cross-trained and have demonstrated competency to work in various settings in order to meet the flexible staffing needs of the organization. Some have a “no float” policy. Nurses should have open discussions with their supervisors if they have quality and patient safety concerns associated with their organization’s floating protocols. Board of Registered Nursing, 1998. “RN Responsibility When Floating to New Patient Care Unit or Assigned to New Population”, December 1998. Available at <http://www.rn.ca.gov/pdfs/regulations/npr-b-21.pdf>. iVantage Health Analytics, Inc., 2012. “Nurse Satisfiers: 5 Ways to Make Nurses Want to Stay at Your Hospital”, January 2012. Available at <https://www.ivantagehealth.com/wp-content/uploads/2012/01/5-Ways-to-Make-Nurses-Want-to-Stay-White-Paper.pdf>. Lack of standardization: Incident reports (the majority of the data we receive) are completed differently by different providers, and, until there is widespread adoption of the Common Formats and standardization of incident reporting processes, the majority of the useful information is in free text, not structured fields or numbers. Meaning in content, not numbers: We collect information not to count, but rather to understand. Our goal is to help providers identify fundamental causes of preventable patient harm and the corresponding mitigating actions. Individual value: A single report may contain valuable information for improving safety; conversely, other reports may be related to well-understood issues and not provide any new information. We also have some members who only report certain types of events, such as medications, or only high severity events. These aggregates are useful in helping us understand if the reporting of certain categories is consistent with what ECRI Institute sees on a national level. It is through the analysis of the text by our clinical staff that we are able to identify causal issues around emerging safety concerns. Our current focus is on health IT, bar-code medication administration, and clinical alarm management. Patient Safety Awareness Week, an annual education and awareness campaign for health care safety is led by the National Patient Safety Foundation (NPSF). Each year, health care organizations internationally take part in the event by prominently displaying the NPSF campaign logo and promotional materials within their organizations, creating awareness in the community, and utilizing NPSF educational resources among hospital staff and patients. Discover the direction HQI is headed in bringing key resources together with a shared vision to assist hospitals with quality improvement goals to eliminate harm, improve clinical effectiveness and increase reliability of care. Learn current quality improvement and patient safety strategies to achieve zero defects, optimize clinical effectiveness and enhance patient and family experiences in health care. Engage with valuable tools and take best practices to scale for a statewide culture of improvement that inspires, engages and achieves results. Commit to habitual excellence by sharing stories of improvement and monitoring progress toward achieving the Triple Aim: better care, better health and lower cost. Sign up for the HQI mailing list to receive updates as they become available. The HQI was established in April 2013 to realize statewide impact of improving patient safety and quality care for all Californians, to accelerate the rate of improvement, and to advance California as a national leader in quality performance. Medical device alarms provide essential warnings to alert caregivers of changes in a patient’s conditions, but addressing the safety issues associated with working in an environment filled with so many sounds is challenging. In order to support health care providers in addressing clinical alarm safety within their institutions, HTSI has created a resource center of webinars (live and archived) and publications which contain the most recent information on alarm management. We encourage you to take advantage of these resources as you improve clinical alarm safety in your institution. Historically, the Luer connector was used for many incompatible purposes: intravenous infusions, epidural catheters, enteral feedings, blood pressure cuffs, etc. Misconnections have occurred with catastrophic results. California law will soon mandate that hospitals use mutually incompatible connectors for three purposes: intravenous, neuraxial (e.g., epidural), and enteral. While the law driving the adoption deadline is in California, hospitals throughout the world will be making this change. Hear the inside story, from one of the few on the International Standards Working Group involved in planning the deployment of the new devices. Major changes will occur in the supply chain and at hospitals. Prepare your hospital for the change, and understand some of the potential pitfalls ahead. Why California mandated the change. The problem with proprietary solutions. Standardization and testing of the new connectors. 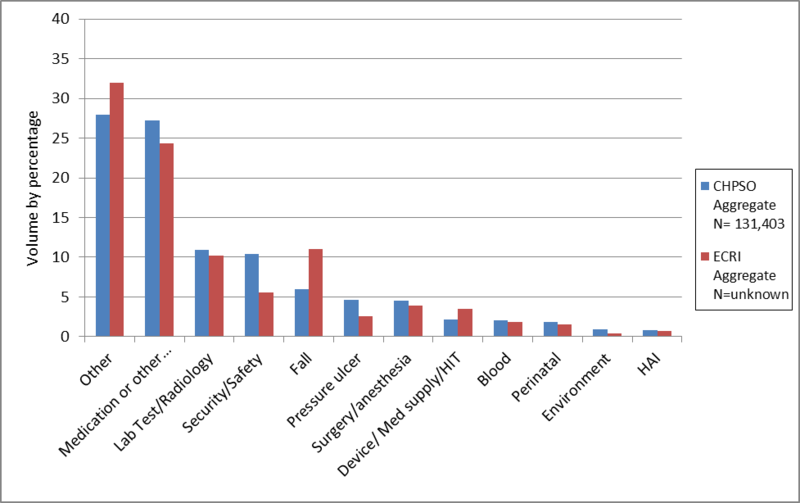 Supply chain challenges, and hospitals’ role in addressing these. Plan for introduction of new connectors. New risks arising during the changeover and after. Nurses, Pharmacists, Materials Managers, Physicians, and Quality and Patient Safety Leaders. Nursing- Provider approved by the California Board of Registered Nursing, Provider #CEP 16084, for 1.0 contact hour. Tuition payment, full attendance, completion of online survey, and attestation of attendance is required to receive CE for this webinar. All attendees requesting CE must be registered. A $25 non-refundable processing fee will be retained for each cancellation received in writing by March 25. No refunds will be made after this date. Substitutions are encouraged. Cancellation and substitution notification may be emailed to info@chpso.org. Registration is required and available at http://www.cvent.com/d/x4qzrk/4W. Registrants will receive an email no later than March 25 with participation information. Participants registering on or after March 25 should contact CHPSO for participation information at (916) 552-2600. In April 2013, ECRI issued a call to action to collaborate in an initiative to report laboratory testing events. The result is the third PSO Deep Dive™ analysis identifying laboratory-related events and unsafe conditions, along with risk reduction strategies. Event and near-miss reports submitted reveal that many mistakes in laboratory testing actually occur before the specimen reaches the laboratory and after the results are reported by laboratory personnel. In short, many of the errors that lead to reports classified as “laboratory events” occur beyond the walls of the laboratory. Results of the analysis will be presented. Dr. Mark L. Graber, MD, FACP, Founder and President, Society to Improve Diagnosis in Medicine, will present an overview of diagnostic error. This call is for members only. Registration is required and available at http://www.chpso.org/form/ecri-pso-deep-divetm. A CHPSO website member account is required. Registrants will receive an email March 14 with participation information. Participants registering on or after March 14 should contact CHPSO for participation information at (916) 552-2600. The Hospital Council of Northern & Central California has an opportunity to provide Patient Safety First (PSF) hospitals surgical team expertise on reducing and eliminating retained surgical items (sponges and towels) and TeamSTEPPS training, both at no cost. Dr. Verna Gibbs, Director, NoThing Left Behind, will tailor a presentation to meet team needs. Typically, she trains OR nurses but will open it up to a multidisciplinary gathering or a group of OR and Perinatal nurses, surgical technologists, surgeons, risk management and patient safety personnel. A TeamSTEPPS Master Trainer will conduct a customized one-day Essentials Workshop or a two-and-a-half-day Fundamentals Workshop, on site for 24-36 staff members, to include several physicians and Senior Leaders. The most valuable and readily usable TeamSTEPPS tools enhance mutual support and communication that directly impact patient safety and reduce medical errors. These trainings are offered on a first come first serve basis. For more information please contact Jenna Fischer, VP of Quality and Patient Safety, at 925-746-5106 or jfischer@hospitalcouncil.net. CHPSO will not host an annual conference this year. Instead, we will collaborate with our fellow staff at the Hospital Quality Institute (HQI) to host a conference in the fall. We hope you will join us for what we hope will be a fantastic learning event. HQI is seeking input on what you would like to see at the conference. Go to http://www.hqinstitute.org/form/hqi-annual-conference to influence what will happen. The Hospital Council has opened registration for the 2014 Spring Symposium, scheduled for May 15. The Symposium will be located in the Walnut Creek/Concord area at the Hilton Concord, 1970 Diamond Blvd., Concord, CA. Join us for the second year of this innovative series. Hospitals are invited to have CEOs, CMOs, CNOs, CFOs, COOs, Physicians and Human Resource Leadership attend as a team to gain access to new and inventive strategies. Engaging conflicting groups through visioning, change management and trust-building strategies often does not bring about the desired results. Too often physicians and hospital administrators are locked in a lose-lose battle with no apparent solution. This one-day, interactive event will provide participants with innovative strategies for moving from intractable conflicts to enduring collaboration between hospital administrators and physicians. For more information visit www.patientsafetycouncil.org or contact Alicia Muñoz.